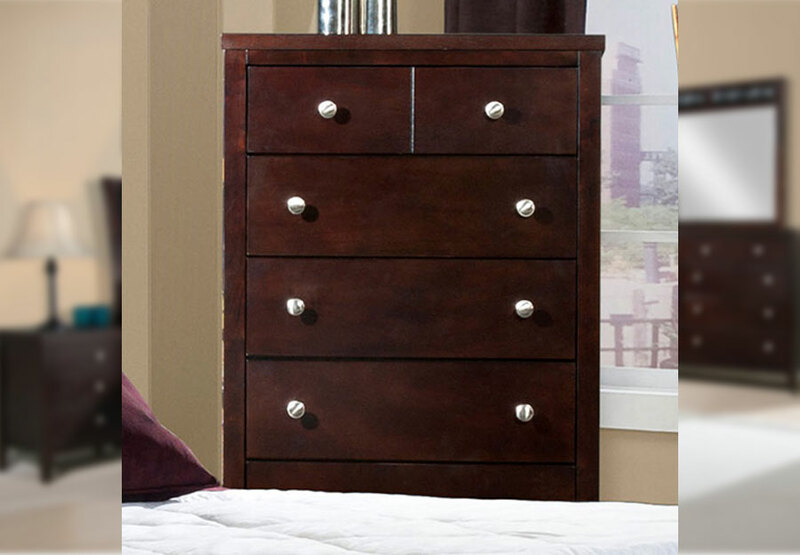 Our Lawrence collection crafts a fashionable haven in any bedroom. 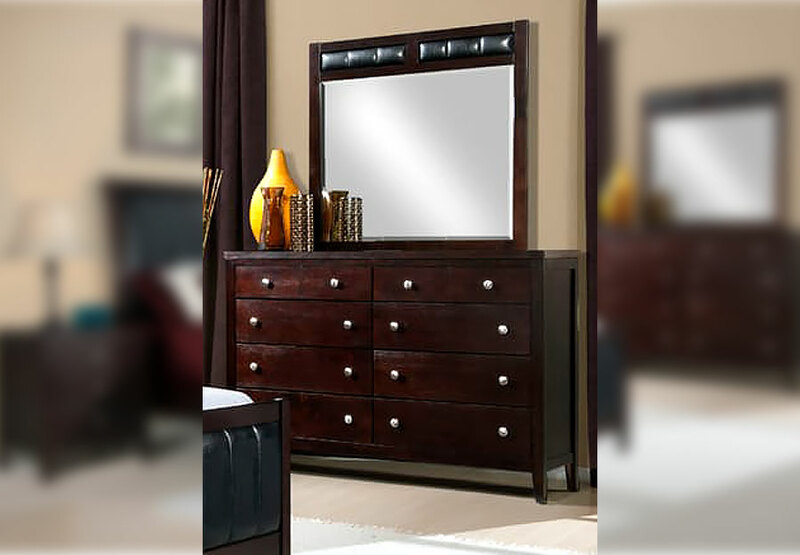 This selection features an urbane design with clean lines, classic silver hardware and unique PU Panels in the bed and mirror top. 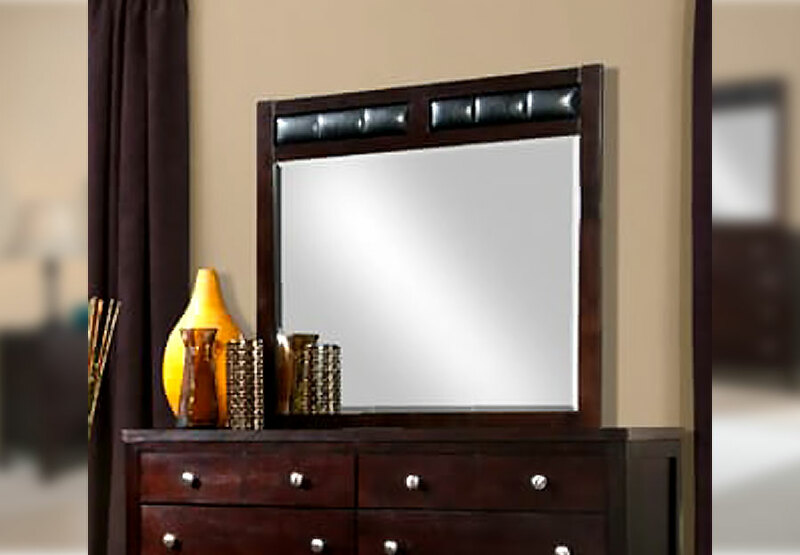 Significant storage space is offered by is refined case pieces while a beveled mirror adds a hint of elegance. 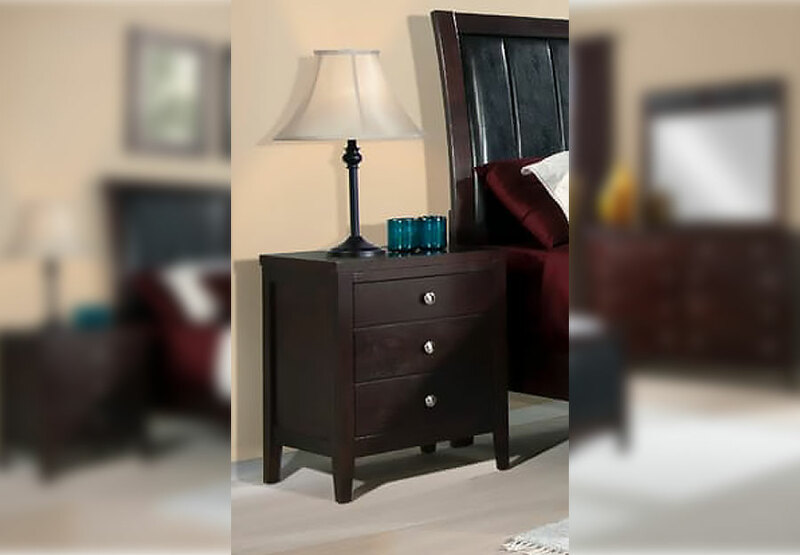 Completed by its deep espresso semi-gloss finish, this set is one you'll love coming home to.